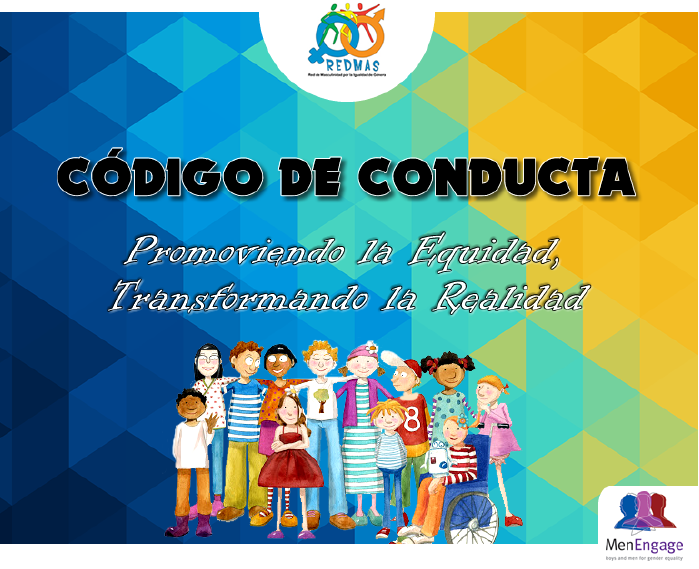 The Masculinity Network for Gender Equality (RedMas) is a Nicaraguan network of 20 civil society organizations that recently celebrated its ninth anniversary. Among its members are feminist organizations, organizations working children, adolescents and youths and men’s groups. The aim of this post is to share the experiences and reasons that led us to build our own Code of Conduct. We identified four key experiences in this process. The first experience was a meeting with compañeras (female comrades) of the feminist movement about work with men and masculinities. We shared the history of the Group of Men Against Violence formed in the 1990s. Concerned about violence against women and motivated by feminist peers, we organized ourselves to work both inwardly, sharing reflections in private circles about our own lives as men, and to start the outward process of reaching out to other men for awareness-raising. Many feminist compañeras did not believe in the work with men. They pointed out that even after the triumph of the Sandinista revolution men continued with their machistas tendencies, even though the intention was to be a new man within a just social order. We were told that the work on masculinities generates egalitarian discourse in men but that many remained macho in their daily lives. That is why we are committed to question the power relations that men establish. That is why we are pushing this work from many fronts: paternity, sexual health and reproductive rights, prevention of HIV and AIDS, sexual diversity and prevention of violence. Did work with men arise out of personal discomfort with the hard cores of their masculinity, or was it born out of solidarity with feminism? They asked us about the intentions and deeper motivations of our work with men. Is it to make reforms that preserve male power or is it to join the feminist movement and dismantle male patriarchal power? The compañeras told us that men have to be questioned. Here is the essence of accountability. Unlearning machismo is a slow process, with advances and relapses. That is why we need that constant interpolation of the women's movement. They also laid out some of the risks of some approaches to working with men: the analysis of power relations may be diluted, reducing it to a superficial problem of communication; placing men in a victims’ role ("men suffering from machismo"); or fearing to address important themes such as homophobia. These critical reflections commit us to creating more spaces for dialogue with the women's movement, forging concrete alliances and improving our internal practices as a network. The second experience influencing the decision to build our Code of Conduct was our Network's decision to adhere to the MenEngage Global Code of Conduct. We thought it would be important to work on a document that would regulate the relationships between men and women within REDMAS and with the target groups we work with. We saw that it was not enough for each organization to have its own institutional policy of protection or code of ethics - we needed one like REDMAS’s. 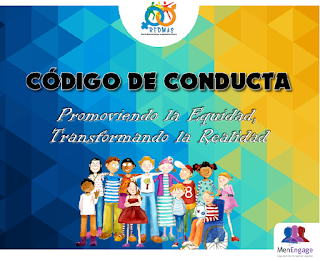 The third experience was the regional workshop on accountability, which was held in Nicaragua in 2015, facilitated by the MenEngage Global Secretariat. It was there that we realized the political dimension of accountability. We understood that to transform power relations, privileged groups must be accountable and listen to the perspectives of groups with less power. For example, men should be accountable and listen to women and women activists must also listen to other marginalized women. It is an anti-oppressive alliance tool. To be accountable is to share with transparency what we do and be willing to be questioned. It is urgently important to listen and take action when others point out practices that violate our principles. At the end of the workshop, we committed to signing the MenEngage Code of Conduct, building a bridge of dialogue with women's organizations, disseminating our political commitment with all member organizations, and replicating the contents of the workshop with member organizations. The workshop on accountability with our members, also held in 2015, was the fourth experience in this process. We naively believed that all people within the network establish respectful and equitable relationships, since we are activists with a commitment to equality and human rights. In addressing accountability during the workshop, problematic situations within the network that had not been addressed emerged. Some of the male members of the network were behaving in sexist ways toward female members. Some educational interventions were being implemented using inappropriate approaches. We concluded that these practices could no longer be allowed. However, we did not know how to proceed. It was easier to resolve the theoretical case analyses of violations of the Code of Conduct offered in the workshop than to tackle similar cases in real life. We had to set a precedent, so as not to leave the wrong impression, that REDMAS was concerned about such situations, but did not address them. We were very afraid that the situations would be made public and we would lose our credibility. Ultimately, our commitment to coherence between discourse and practice prevailed. There are organizations that are not members of the network but are working with men on gender issues using approaches that reinforce machismo; we have also received requests to join the network from leaders who have been accused of sexual abuse. These were other reasons why we needed a Code of Conduct - to prevent organizations and people with questionable practices from joining the network. The situations discussed during the workshop accelerated the decision to create a Code of Conduct. And we built it in a participatory way, with contributions from everyone.